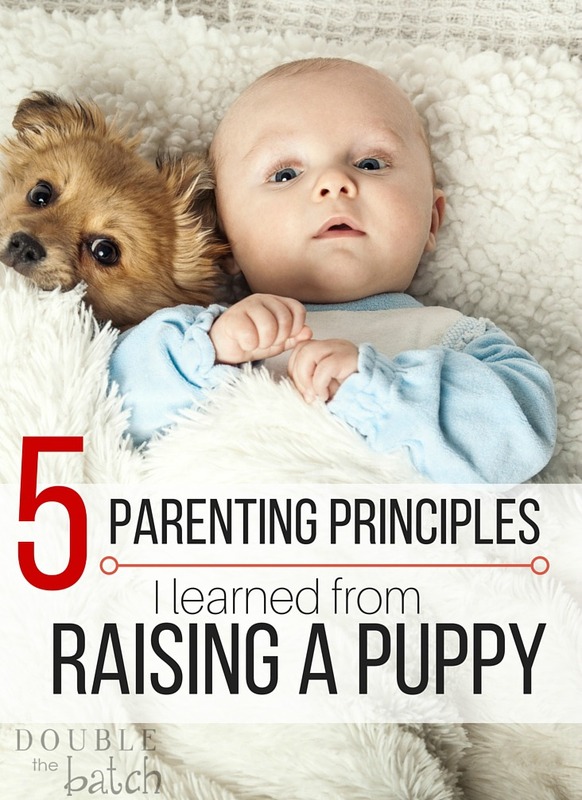 Who knew you could learn parenting principles from raising a puppy! We recently moved our family clear across the country to Kentucky. It was tough for my kids to leave their friends and family behind. One thing that helped them make the move was a promise I made to them. 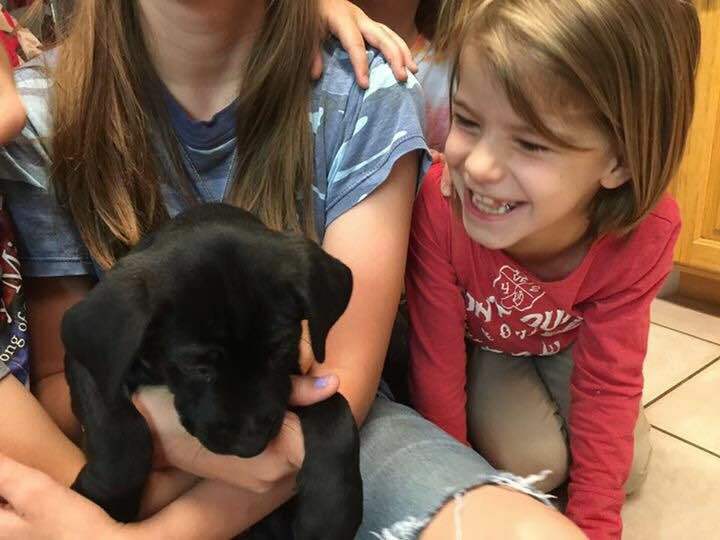 Because we were moving from the city to 5 acres in the country, I told them we could finally get a dog. The cute puppy moment quickly disappeared as I was overwhelmed with the task of raising this puppy. IT has been a month since that first day and life has become a new normal finally. As we have been trying to train this puppy, I have been reminded of parenting principles that I may or may not be very good at following. Because a puppy grows so fast, there’s no time to procrastinate when it comes to training. I realized, very quickly, that if I was just as dedicated at raising my own children, maybe I would get different results. TIME means LOVE. I learned very quickly that if I wanted this puppy to be a ‘good dog’ I would need to put the time in NOW to train her before she developed bad habits that were hard to undo later. As much as I wanted to just put her in her kennel or her dog run outside I knew that was not the answer all the time. She needed me to spend TIME with her and train her. When I just put her outside and tried to get stuff done, she would just sit by the door and whine until someone would go on a walk with her or play with her. Then she was fine. Sound familiar? It’s so easy to put my kids in front of the tv or a device so I can get things done. But ‘other things’ never fully fill their bucket. What they really need is just a small amount of one on one time with me and then it’s amazing how good they are! REWARD the POSITIVE. I’ve talked about this in so many blog posts because I’ve seen how powerful it is SO many times! My daughter quickly found that she could train the puppy to do things if she had treats and constantly vocally praised her after she performed what she was asking. With my own kids, they respond SO much faster if I point out all the things they are doing well or constantly tell them how much I love them. Nagging and raising my voice takes double the effort and seems to be less effective. Makes sense, right? No one likes to do something for someone who seems to only be able to find their faults. CONSISTENCY is the KEY. Oh how I struggle with this one! Consistency is a tough quality to attain if you are not already good at it. 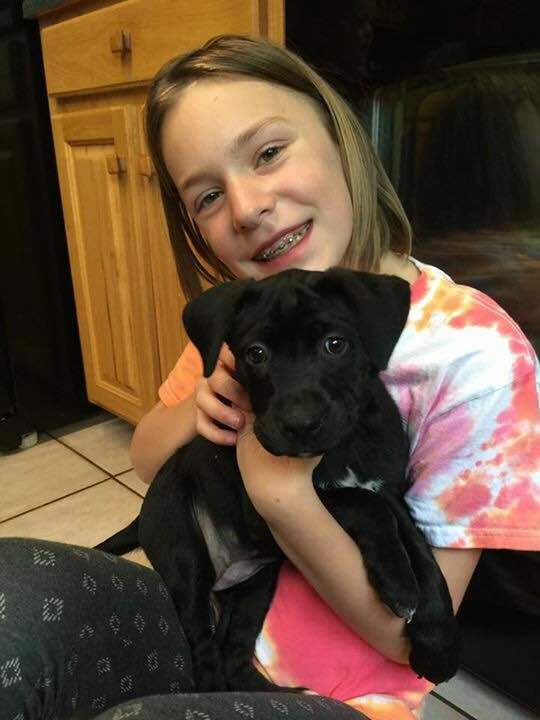 I noticed right away that our puppy would respond really well to me in the morning when I was alone with her training her, but when all the kids were chasing her and getting her all worked up, she would bite and do other things I was not ok with. We quickly learned that we had to all train her the same way and as a family. Same goes with kids. It’s hard for my kids to be obedient and follow the rules if I’m always changing the way I parent or not following the rules myself. Like I said before, this whole puppy training was a big reminder of the things I needed to work on as a parent! We LOVE the ones we SERVE. The first week we had the puppy, I was stressed and annoyed that I now had to ‘deal’ with this new addition to our family. One morning I made a decision. I could either be annoyed and dislike this dog for the next 10-15 years, or I could find a way to love it so that it was an enjoyable experience. I chose the latter. I started waking up earlier to spend time with her before the kids woke up. It didn’t take long before my heart softened and I started to love this little puppy. So now, when obstacles arise, and it would normally be easy to just pack this dog in the van and take her to the animal shelter, because I have grown to love her by serving her and taking care of her every day, I muddle through. The more we serve our children by changing diapers, rocking them when they are sick or scared, cleaning up the endless messes, the more we learn to LOVE them regardless of the hard days. The greatest things in life are never free. The greatest sacrifices bring the greatest joys. I can’t tell you how many times I have joked that if I could only go back to my child-free days for a week, I might actually be a sane person. This is false. Never could I go back to my life before all the sacrifices and trials that have come with parenting, because that life would also be missing one thing….the JOYS that have come from raising our family. Just remember that on those days when you feel like a failure or just want to throw in the towel and GIVE UP! Obviously, puppies are not children, but I believe lessons can be learned around every curve in our lives. This puppy really has thrown me a curve ball, but I’m grateful for the friendly reminders I get from raising her every day! Changing the world MAMA STYLE!